Ever wish that you could hold your event and put your guests up all in the same place? Preferably in a tropical paradise? Now you can with the latest addition to 24 North, our Sunset Green event lawn. Sunset Green...it has a nice ring to it, doesn’t it? Yet Sunset Green is more than just a good name. It’s a spacious event lawn with vibrant landscaping and versatile amenities. Located in between 24 North and our sister hotel The Gates Key West, the Sunset Green is perfect for all your events in paradise. 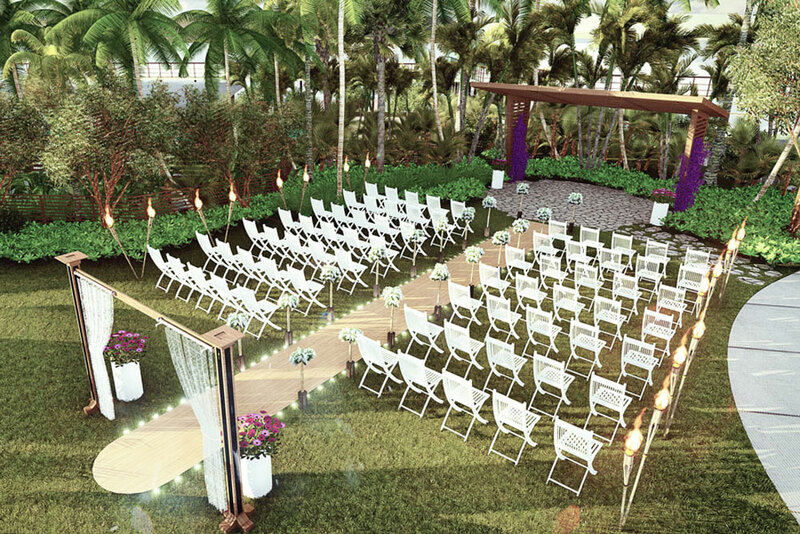 From your dream wedding in the Keys to lively celebrations, Sunset Green has you covered. 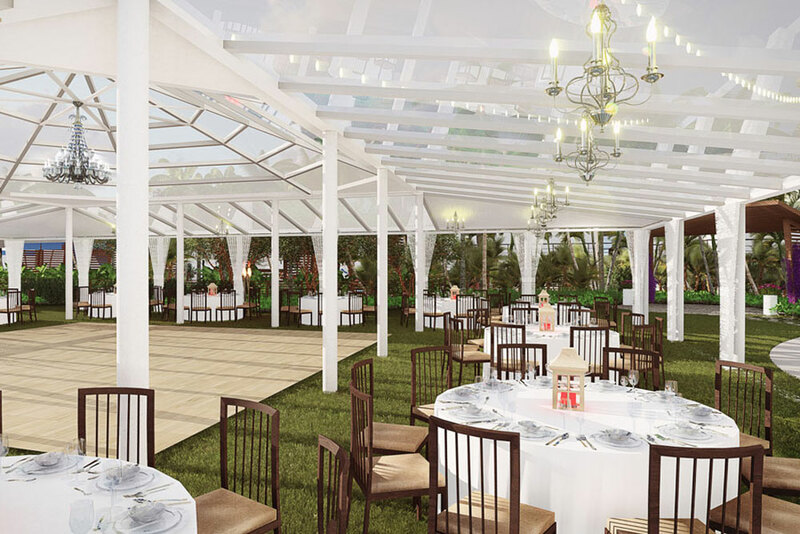 We have a beautiful pergola for a renewal of vows and our team can add anything from tents, dance floors and even portable air-conditioning units for whatever type of party you want to throw. Lovebirds and party-goers aside, it’s also great place to hold a team summit or a family reunion- and an even better one when you consider the amenities on property. Not only will you have the hotel rooms taken care of, but you’ll also have all of 24 North’s perks to choose from, like our poolside bar & restaurant Toasted Coconut, our on-site Starbucks and our well-equipped fitness center. 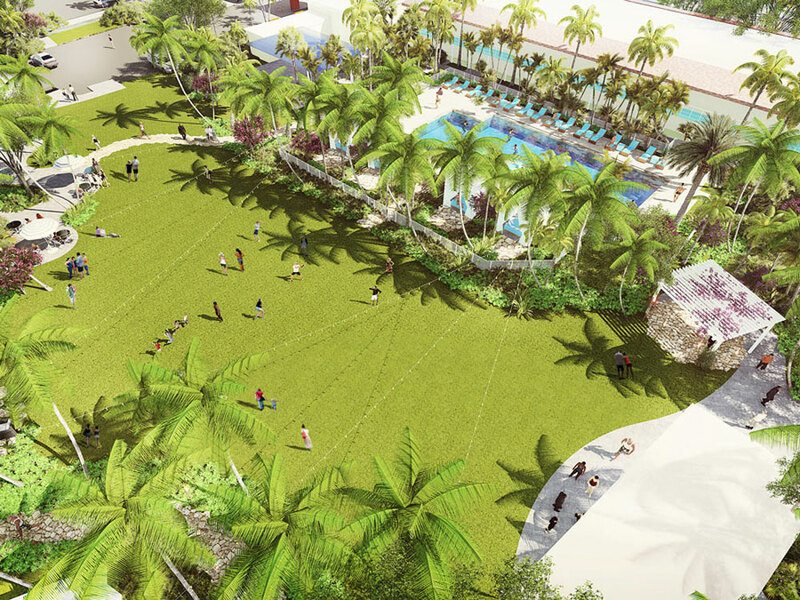 Even better is that Sunset Green is slated to open this November, just in time for the best weather in the Key West season. That said, we’ll also be hosting some events of our own. Be on the lookout for local concerts and some of the island’s best festivals, right in our backyard. Stay tuned in on our Facebook page and in the meantime, start planning your trip to Key West. Ready to join us in Key West? Check out our specials here.